When you flicker a DFC like Path of Mettle Flip, it enters the battlefield as a new object with no memory of its previous existence, including whether or not it was transformed, so it will come back in "day-side" up. So if your DFC is Metzali, Tower of Triumph when you flicker it with Felidar Guardian, it will re-enter the battlefield as Path of Mettle Flip. Path of Mettle Flip will only kill Sparring Construct, and that may not be a bad thing. Still, Tajic, Legion's Edge can protect it. I'll add that Metzali, Tower of Triumph can kill a single attacking Vine Mare or Carnage Tyrant. You would have to adjust your creature base accordingly to make it work, however. I want to build a fun deck for my casual 3-4 man play group. I'm new to MTG so it's a huge time consuming to search for the cards I want (dont get me wrong, it's fun but too much time consuming). I'm looking for cards that ping damage my opponents and punish them. Cards like Harsh Mentor, Goblin Chainwhirler, Guttersnipe, Metzali, Tower of Triumph. Double damage cards like Insult // Injury and Angrath's Marauders some Planeswalker Chandra cards, but also fun cards like Axis of Mortality for politics, and Fight to the Death, Deflecting Palm to catch my opponents off guard. If you want to try and be a spell heavy deck then I have a couple different ways you could try to take it. There is a spellslinger style deck that uses energy you can try to use or you could go a mage focused route. The spellslinger deck tends to be a slower deck build that also focuses on control and getting extra resources or damage from casting spells while the wizard deck option is less about control and more about rushing your opponent before they have much opportunity to respond. Obviously the card suggestions don't tell a complete deck but can give you ideas of what you could do with them if you wanted to go those deck styles. If you wan't an idea of what I do for a white/red deck I call it Boros Path Of Mettle. It is an aggressive aggro deck with lots of focus on haste creatures that also makes it hard for my opponent to counter attack once I flip Path of Mettle Flip into Metzali, Tower of Triumph. The deck has shown great results winning me first or getting in the top 4 consistently before Dom came out, but I haven't played it since because I have been testing crazy combo decks and Sap hoard decks. If you have any questions I will try and help when I can. Really like the deck design. I lost a game my last FNM to something similar because I got some bad luck with Metzali, Tower of Triumph missing his combo target (1 out of 4 attackers). Think the deck idea is fun and can pack some serious punch. The only thing I think you want to add to your deck design are some Blossoming Defense. This way when you go for combo you can protect your target of Appeal from removal spells. This card was my opponents saving grace on more then one occasion. 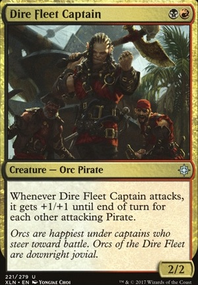 To make room for this I would suggest cutting down 2 Pride of Conquerors and maybe 1-2 Merfolk Branchwalker. Best of luck with the deck. I will be honest the Cataclysmic Gearhulk has actually been very good to me. I put in the deck as a filler card as I couldn't find my other Glorybringers and was rather impressed at how well it was functioning. Most of the times I cast it was to my favor and it worked with my want for a later game bruiser card. I would recommend him for side deck more then main board usually, but my local has a lot of decks either running a lot of tokens or enchantments and this gives me an answer to both. As for the Relentless Raptors, I would not suggest cutting these as their 3/3 body as a two drop is very strong. The only time these cards become bad is late game when your opponent has large creatures and its force to block becomes trouble some. However, their early game is very strong especially paired with Cartouche of Solidarity; having a creature swinging as a 4/4 first striker with vigilance makes things very hard for your opponent to block or attack. Yes they are able to be killed by push, but push was designed to work well against decks like this. 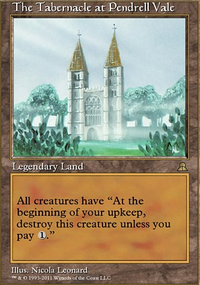 AS for Kari Zev's Expertise, this card has got a done a lot of work and I think has earned a spot to stay in the deck. The cards ability to steal a creature and give it haste allows us the ability to flip Path of Mettle Flip path of mettle even with only one creature on board. 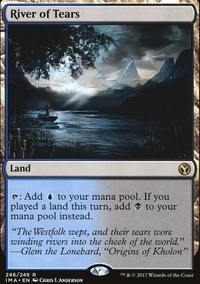 Its ability to allow us trick out a 2 cost or less spell also works well with how cheap most of the deck is; this can be more noticeably valuable in later parts of games as it could leave you mana available to cast more spells or activate Metzali, Tower of Triumph. While it is true the Fanatical Firebrand is a nice option for the deck, I don't think their is anything main board I want to pull out for it outside of Cataclysmic Gearhulk. To make room for one copy of Firebrand doesn't feel that worth while. I will have to think on this more for what can be removed to make room if it is to be played. Thanks for the suggestion. I really like the idea of that creature, just not sure what to do to make room. Hey kshock68, the Standard bans helped all tribal decks. Aggressive swarming tribal strategies got a big boost. I think Elves are better positioned now because they can do things that the other tribes can't. But, compared to the other tribes I don't think Elves are a contender yet simply because other tribes got so many good creatures in RIX. Elves are at a disadvantage because the main strategy +1/+1 counters is done better by Merfolk with Kumena, Tyrant of Orazca and explore with Winding Constrictor. In this current version Elves have an advantage with three colors, ramp, trample and flying. These abilities separates the Elf tribe from the other tribes. Some of these abilities have the possibility of going over the top of a swarm of creatures which is what Elves need to do because they can't match, go toe to toe with the amount of creatures that other tribes can put on the battlefield as fast as they can. Ramp with Rishkar, Peema Renegade and ascended Radiant Destiny gives Elves an advantage because if my opponent stumbles which will happen then I can potentially get ahead with board position. Ramp also gives Elves some much need game against midrange. I'm very happy that Aether Hub didn't get banned because it pairs so well with Servant of the Conduit, this is a color advantage Elves have over other tribes. Trample becomes pretty important in Vamp matchups because of tokens and flying is a way to go over the top of Merfolk, Dinos and midrange. Taking even more advantage of ramp maybe the next step for this deck. Ramping into River's Rebuke can wreck any tribal deck. Ghalta, Primal Hunger because of trample also seems very good, going completely over the top. Armorcraft Judge can be good for draw advantage in some matchups, but he can also be too slow, requires some set-up or the perfect hand. He's better in midrange matchups such as Temur, Sultai, Grixis. Baffling End becomes much better with the bans because it's very good in nonDino tribal matchups and wrecks Snake decks. Control is set to return to the meta as a real option. Temur and Mono-Red are what was keeping control in check. Temur was able to out value control with all of it's energy producing cards backed up with Negate and Mono-Red was too fast for control to deal with. I expect to have to prepare for variations of decks with Approach of the Second Sun or The Scarab God. Making Negate, Ixalan's Binding great sideboard cards for the future meta to stop Settle the Wreckage, Fumigate and Scarab. Temur, Sultai and Mono-Red took a big hits with the bans, but they will all survive in Standard. I think they will survive, but look very different Jadelight Ranger can replace Refiner, more land can replace Attune, but a fourth splash I don't think is possible. Sultai still has Winding Constrictor, Rishkar and the new explore creatures are nuts with the Snake. Red will survive, but it will look different because it's reach, Ruins and it's tribal hate, Ferocidon were banned. Hazoret is still here, some deck will play it maybe Vehicles will return and play it as top the end. Red may morph to accommodate Pirates or Path of Mettle Flip, using Metzali, Tower of Triumph as it's new reach, Ruins replacement. Glorybringer is a fantastic card to combat the tribal decks I expect to continue to lose to it in Standard. Grixis Midrange is set to become the new midrange deck to beat in Standard. I expect to have to plan more sideboard for this matchup. The manabase is very good and it can play Ravenous Chupacabra, Glorybringer and The Scarab God and back-up these powerful creatures with Negate for control. Essentially mimicking aspects that made Temur energy so oppressive. drianob, the reason I took Relentless Raptor over Sky Terror is simply because of Path of Mettle Flip. 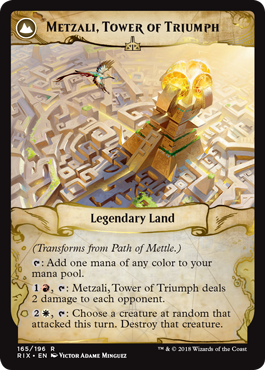 I want to flip that to Metzali, Tower of Triumph as fast as I can, however I really like the thought of Kinjalli's Sunwing on the main board to push damage through against creature heavy decks.